Oxford Instruments and Green Imaging Technologies are pleased to announce the introduction of GeoSpec12, the latest evolution of the renowned GeoSpec range of nuclear magnetic resonance (NMR) core analysers. GeoSpec12 addresses the problem of achieving adequate sensitivity when taking measurements from low porosity rocks. Benchtop NMR core analysers have traditionally operated at a frequency of 2MHz, partly in order to avoid susceptibility artefacts caused by paramagnetic material in sandstone samples. Such artefacts are of less concern with shales, but on the other hand measurements on shale are made more difficult by the low porosities and small pore sizes compared to sandstones, resulting in much less fluid from which to obtain an NMR signal. 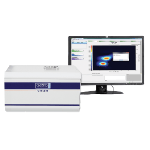 The problem of low sensitivity has now been addressed with the GeoSpec12. 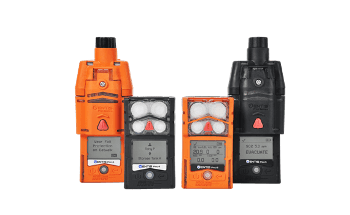 The GeoSpec12 operates at 12MHz and retains the Q-Sense technology and Green Imaging Technologies’ software that have made the GeoSpec range so successful. 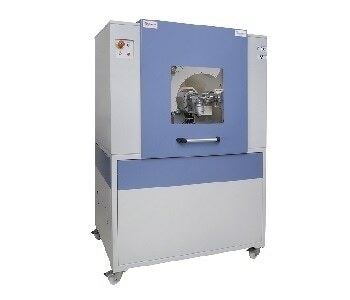 The GeoSpec range of analysers now comprises industry standard 2MHz units (accommodating a range of sample sizes from half inch to 6 inches diameter), the 12MHz unit for increased sensitivity when working with low porosity samples and 20MHz instruments for the best short echo performance allowing even the tightest rocks to be analysed. A dedicated overburden cell, the P5 Cell, is available for most models. The P5 Cell provides NMR users with the technology to pressurise rock core samples up to 5,000 psi and heat them to 100°C, allowing them to make measurements as close to reservoir conditions as possible. All GeoSpec models are delivered complete with LithoMetrix software which controls and monitors the instrument and carries out basic petrophysical measurements such as porosity, free/bound fluids, pore size distributions and T2 cutoff. Advanced GIT Systems software is also available for the measurement of saturation profiles, spatially located T2 distributions, capillary pressure, and further research applications. So whatever your needs in NMR core analysis, there is a GeoSpec hardware and software combination to suit.